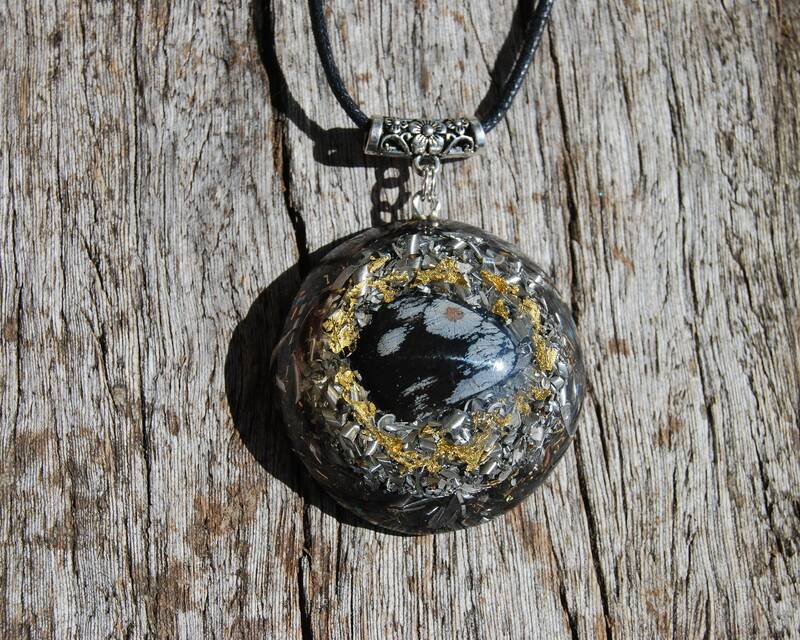 This 4.9 cm / 1.93" in diameter Orgonite® pendant is contains 24K leaf Gold. 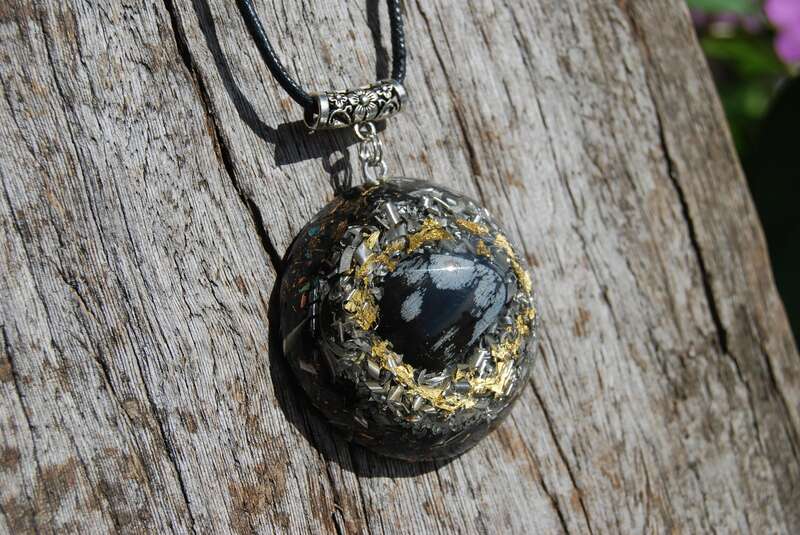 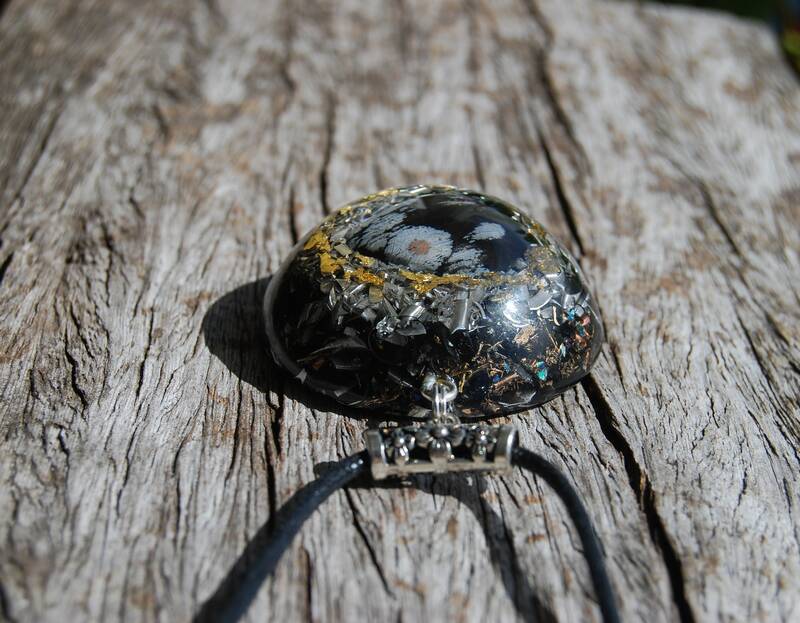 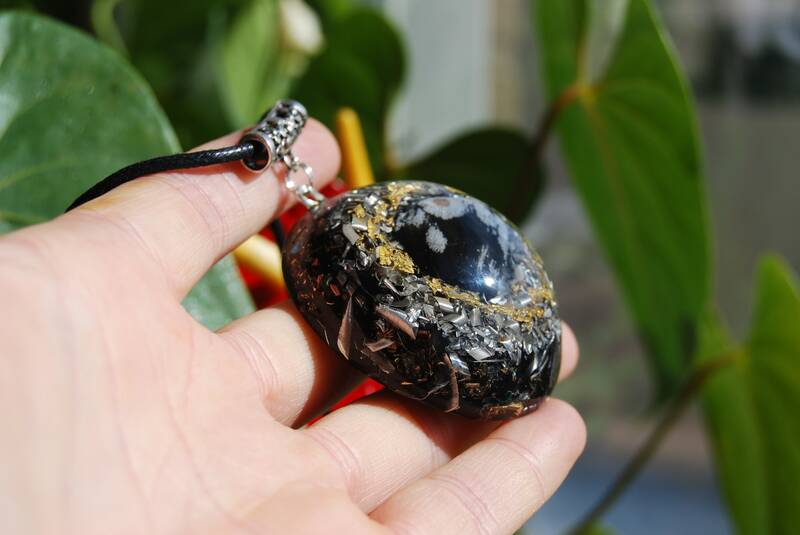 It furthermore consists of a large Snowflake Obsidian which you can see in the front, Rose Quartz (self - love), Pyrite (to enhance), Shungite, black Tourmaline (to protect and ground excess energy) ,Rhodizite (to enhance) and clear quartz (for piezo-electric effect) all within a durable resin setting. 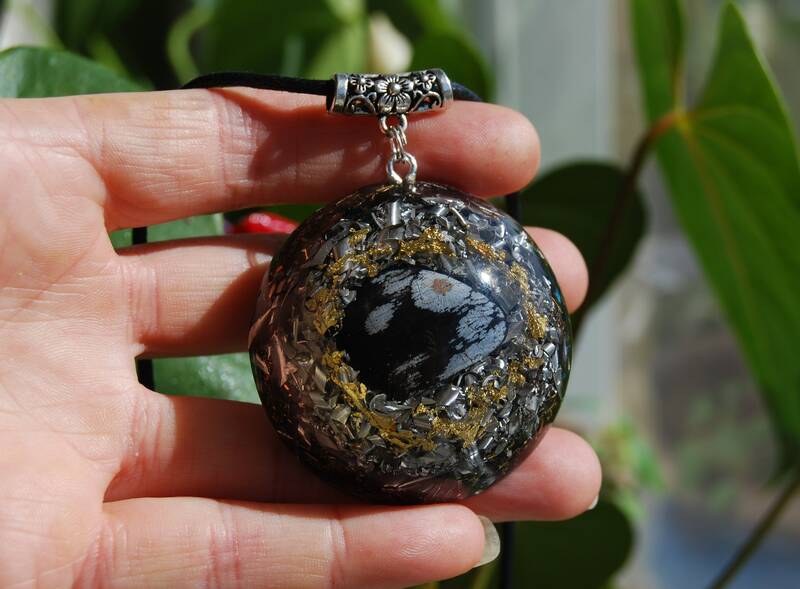 Snowflake Obsidian is formed when the felsic lava from a volcano rapidly cools down with very minimum crystal growth. 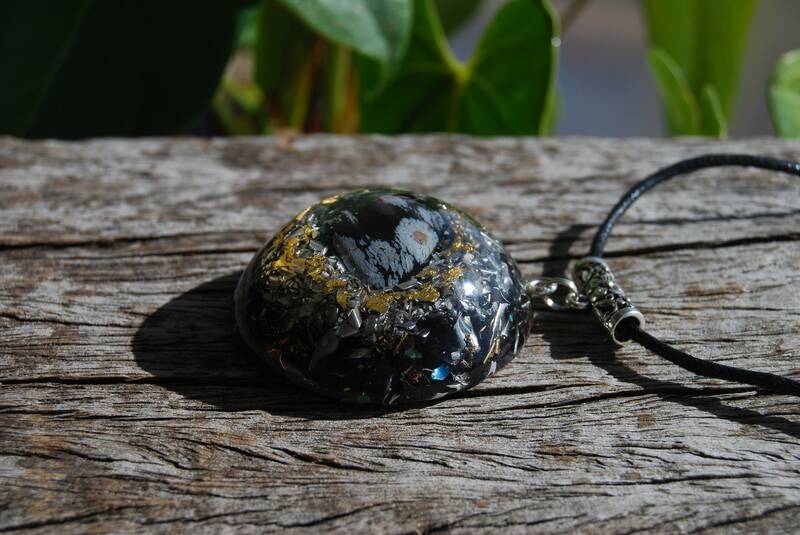 It’s basically a volcanic glass that formed as an igneous rock. 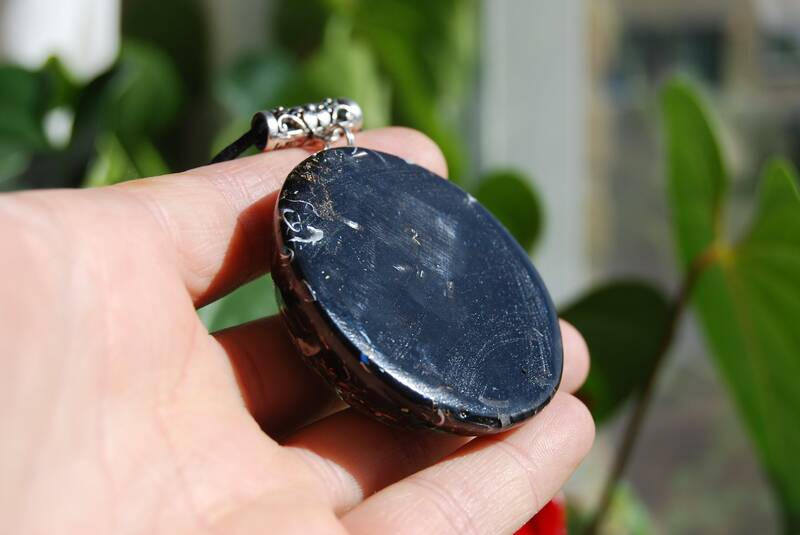 Obsidian is usually black in color with white patches called Phenocryst. 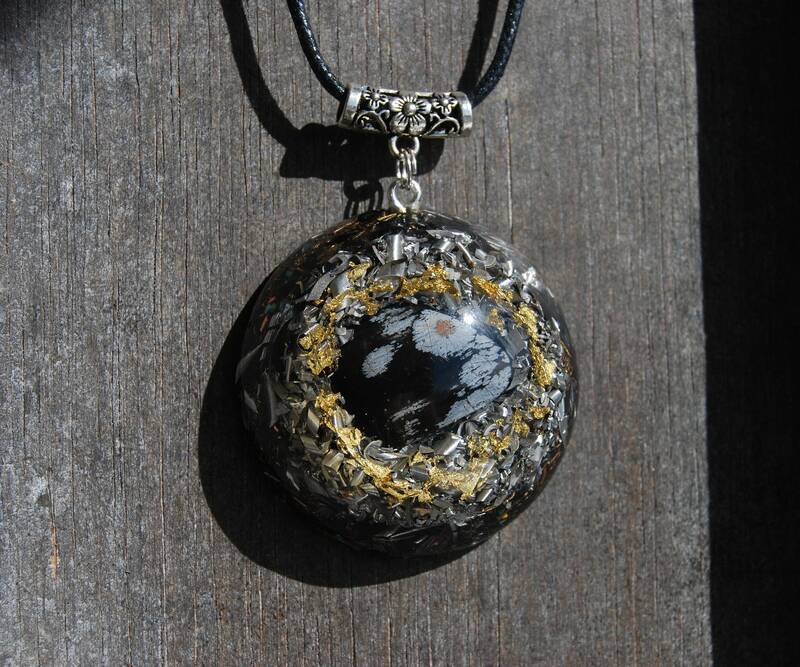 It resembles snowflakes, hence the name.